Adams Keegan exists to help businesses streamline their payroll and HR processes, so they can operate as efficiently as possible, freeing time and resources for the business initiatives that really matter. 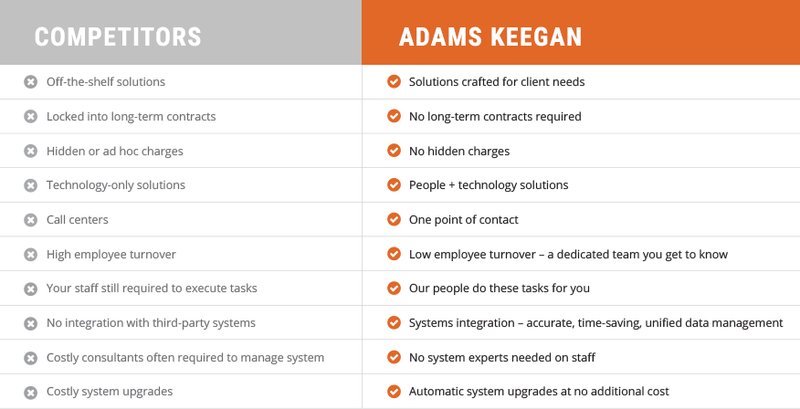 Our clients find that Adams Keegan is not your garden variety payroll or software provider. Sure, we can handle the most challenging and complex payroll situations, and our Efficenter® HRIS offers levels of sophistication, integration, and customization that few can match. But what really makes us special – our “secret sauce,” if you will – is our team of employment professionals who provide a superior level of service that is unmatched in the industry. 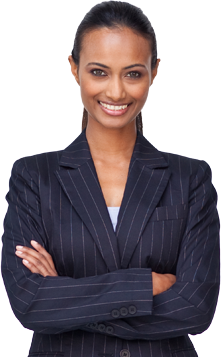 This type of service allows our clients to operate unencumbered by the hassles of employee administration. When questions or problems arise, they just reach out to a client service contact, and we handle it. No 800 numbers, no need to enlist software specialists. Just real people solving real problems, leaving our clients real time and resources to drive their organizations forward. layer upon layer of complexity, bureaucracy, red tape, and seemingly senseless practices and procedures. Our mission is to turn this puzzle into a simple, streamlined process that works better and more efficiently for everyone. Most of our clients come to us after being frustrated by the poor service and questionable results associated with a pure payroll provider, or the cost and difficulty of use of pure software providers. 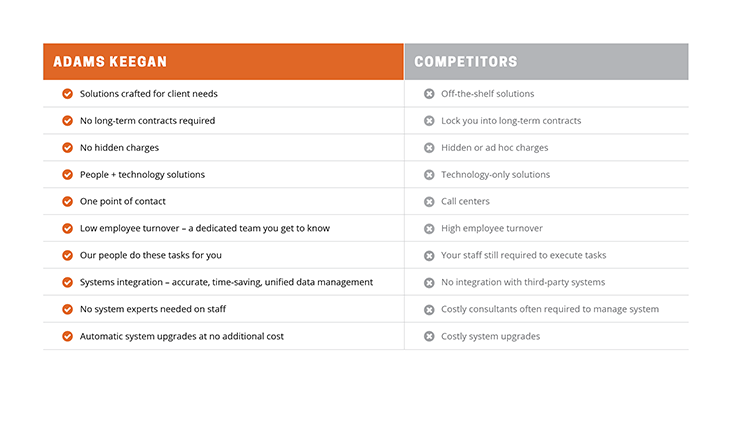 This chart details many of the differences between Adams Keegan and our competitors. "The team of professionals at Adams Keegan have been a pleasure to work with and have been very helpful in maximizing all the efficiencies available. Our time savings have been significant and the professional resources they provide have proven to be very beneficial. I highly recommend Adams Keegan."